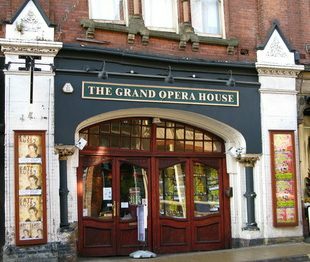 The Grand Opera House was not built as a theatre. It was a conversion of two buildings, one a warehouse, the other a corn exchange designed by G. A. Dean in 1868. The theatre opened as the Grand Theatre and Opera House on 20 January 1902 with a performance of a pantomime.